The use of parables has been misunderstood or miss-taught for over 2000 years. The meaning of the Greek word for parable (Greek: parabole) is “similitude,” which literally means: “to lay alongside,” indicating a parallel story to a truth that is being communicated. It is not the same as the understanding in the English language concerning comparisons between two similar things that are obvious. Even some Greek dictionaries are too simplistic in there use of English terms which do not present the Biblical meaning of the word – The Scripture themselves supply the best definition (as seen in Matthew 13:10-11, where Jesus literally defines the word). The true meaning of the word mandates that the connection between the “laid alongside” story must be made and explained in order to understand the principle being presented, otherwise there is no way to understand the allegory, and without further explanation concerning the parable, the true meaning of the principle is hidden. An example of this is found in the story of the seeds as recorded in Matthew 13:3-9 wherein Jesus, while at the Sea of Tiberias gives the parable without explaining its meaning and we have no idea what He is talking about until sometime later when He was alone with His disciples (Matthew 13:10) and they ask Him the meaning of the parable. The story that He laid out which had meaning only when it was explained and laid along side of the truth He sought to unfold. Parables have been repeated described as teaching tools to enlighten; yet in reality, Jesus utilized parable’s to hide truth. 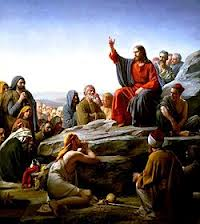 In fact what the disciples actually ask Jesus is why He speaks to the crowds in hidden code. Jesus recites the prophecy of Isaiah 6:9-10, saying that the prophet Isaiah was speaking about that which Jesus doing, that of speaking in ways that they would hear but not understand what He was saying.. It is the Spirit of God that reveals the hidden truths of God, in this form by Jesus, in our current day by the Holy Spirit as He reveals the meaning of Scripture to us believers. Jesus was fulfilling prophecy by hiding truth that He alone could reveal to his disciples (not just the 12, He had over 70 at this time). But, why would God chose to hind truth when Jesus came to reveal truth? In Matthew, chapter 4 Jesus introduces the kingdom of heaven to the masses, and states that it is at hand. Then in Matthew 12:22-32*, we have the situation where Christ heals a demon possessed man and the religious leaders of Israel, the Pharisees along with the priest attribute His miracle to Beelzebub, a demon of Satan. It is at this point that Jesus changes his teaching style. Whereas, up until now he taught using illustrations which were open, and were self-explanatory. Yet, after this event involving the religious leaders rejecting him (and agreed to by many of the masses, as seen later when they cried “crucify him,” as He stood before Pilate), Jesus deliberately hides truth from the multitude, stating that He is fulfilling the Isaiah passage. The reason why He does this is that the leadership of Israel rejected their Messiah, and because of this rejection the Gospel would be given to the gentiles, which God had foreseen. It is by the rejection of the Jews that the world would be saved as salvation would be now offered to all, as Jesus spoke about in parables about the wedding feast and the rejection of the His chosen people to receive Him, such as Matthew 22:1-14. 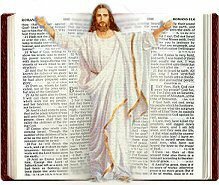 Therefore, to conclude that Jesus used parables to teach truth to the masses is not true, according to His own words parable were used to hide truth that He had to explain (Matthew 13:10-17). Jesus explained that blasphemy against Himself would be forgiven, yet it would not be forgiven when done against the Holy Spirit. This seems to be the crucible moment in Jesus’ ministry where everything changes. He no longer is offering the kingdom of heaven at hand, He no longer is talking to them in ways which indicate He is going to immediately fulfill all righteousness concerning the Messiah. At this point in history everything changes. Prior to this change, Jesus gives the story of the tree known that is known by its fruit as a last public presentation in which the meaning is obvious (Matthew 12:33). In Matthew 12:28, the scribes and Pharisees (these two groups were enemies, yet appear to work together to fight against Jesus) temp Jesus seeking signs, even after all the miracles He had already done. In response to this Jesus presents the enigma (a prophecy meant to stay hidden until completed) of the sign of Jonah and the fish. He finally gives a very dark parable about the unclean spirit leaving and coming back with 7 others so that the state of the person is worse than the first (Matthew 12:43-45). It appears that Christ does this to make His final point that they have rejected Him, and He has told them plainly who He is and what will now happen. From Matthew 13 onwards, Christ speaks in parables, which are riddles beyond comprehension to the multitudes, deliberately hiding insight from public understanding. He explains some of them to His disciples while opening their eyes for understanding (seemingly so from Matthew 13:51-52); yet they didn’t understand before without Jesus’ explanation of what the parable meant. In Luke 19 Jesus held the inhabitants of Jerusalem responsible to recognize the time of the visitation of the Messiah, and that due to this lack of understanding of God’s Word, especially in light of the teaching of Daniel 9:25, which plainly teaches when the Messiah would enter Jerusalem (see the essay: “The Presentation of the Messiah ~ Prophecy Fulfilled” for a brief summary of this), which we refer to as His “Triumphful Entry,” in which Jesus, for the first time in His ministry. Jesus declares Himself to be the Messiah by purposely fulfilling the requirements of Zachariah 9:9, in orchestrating that he would ride a colt into Jerusalem through the very gate that the Messiah was prophesied to enter through, while the people were singing the very Psalm that the inhabitants of Jerusalem were to sing as the Messiah entered on that very road He was on, as they lay down palm branches, and even their own apparel in fulfilling their acknowledgment that He was the Messiah of Israel. Yet 4 days later, many of these same people would yell crucify Him. 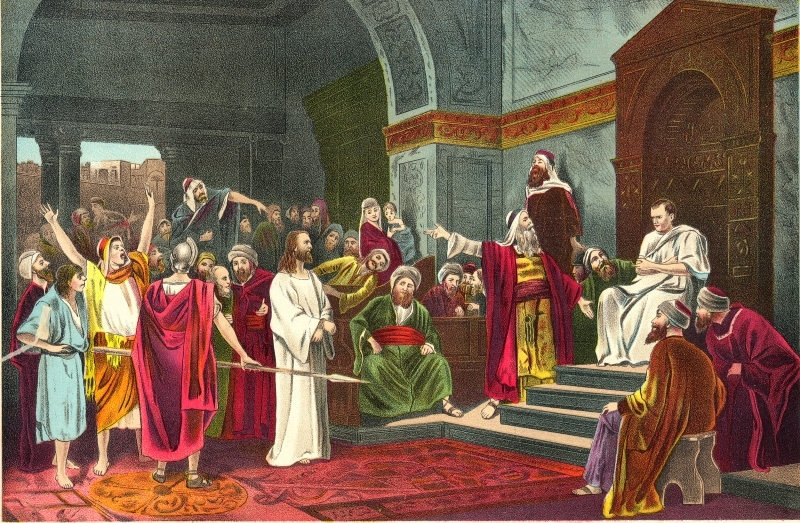 When the Pharisees observed that the people were identifying Him as the Messiah, they told Jesus to stop the people from committing this blasphemy, Jesus responded quoting Scripture stating that if these would hold their peace, that on this most holiest of days, the stones would fulfill the prophecy by verbally praising the Messiah as he entered Jerusalem (Luke 19:40). Unfortunately, many believers do not take the word of God literally and therefore do not take what Jesus said literally. Here Jesus plainly says that the nation of Israel would not see him again until they stop rejecting him and see him as the Messiah according to as a blessing upon them. When they would say blessed is he, the Messiah that would come in the name of the Lord. Many times we miss what this text is really referring to, it is referring to the people accepting Jesus as the Messiah as the one that came in the name of the Lord – which is a title given to the Messiah. What is seen in the Greek is that the individuals that are referred to must have rejected the person that is coming in the name of the Lord in order to reverse their rejection and now say blessed is he that cometh in the name of the Lord, because he would not come in till they said these words. Israel, as is plainly taught in the following verses of the Old Testament; would repent of their rejection of their Messiah and that he would not come to save the reminiscent until they acknowledged who he was – their Messiah, their deliver; the one that purchase them with his own blood. And the same one that will come and rescue them when they call upon him who they have pierced. Again, stating the obvious, this is a prophecy where the reminiscent of Israel, who have come to understand that Jesus is the Messiah, decide to turn to Him. With Jesus returning to Earth to rescue them on the third day. For 3 years Jesus was with them, for 3 days He was in the grave. In the same way that when Peter rejected having known the Lord 3 times (Matthew 26:34), after the resurrection Jesus asked him 3 times if he loved him (John 21:15-17); God always has a sense of reciprocity. This is probably one of the most amazing Old Testament prophecies concerning proof that Jesus Christ was the Messiah. During this time, as well as the history of Israel, death as a capital offense was always through stoning. Piercing was never allowed as punishment, or to bring about death. 170 years before the time of Christ the Romans had practice crucifixion which they learned from the Persians who practiced it extensively. Yet, it is the last part of this passage which is most fascinating. It displays a real remorse and morning concerning the person that they had pierced. This, more than most Scriptures concerning the prelude to the second coming of Jesus Christ expresses the mindset that the Jewish reminiscent will experience when their eyes are opened, when Romans 10: 28 is completed, and Israel is no longer blinded; realizing that Jesus is their Messiah And They Had Murdered Him. Hopefully this brief presentation will spurn believers on to investigating this subject further. It is when we find ourselves brought back to the cross, understanding the depth of his sacrifice and love for us, that repentance is truly facilitated. How much more so shall it be with the Jew just prior to them calling for their Lord for deliverance during the tribulation.